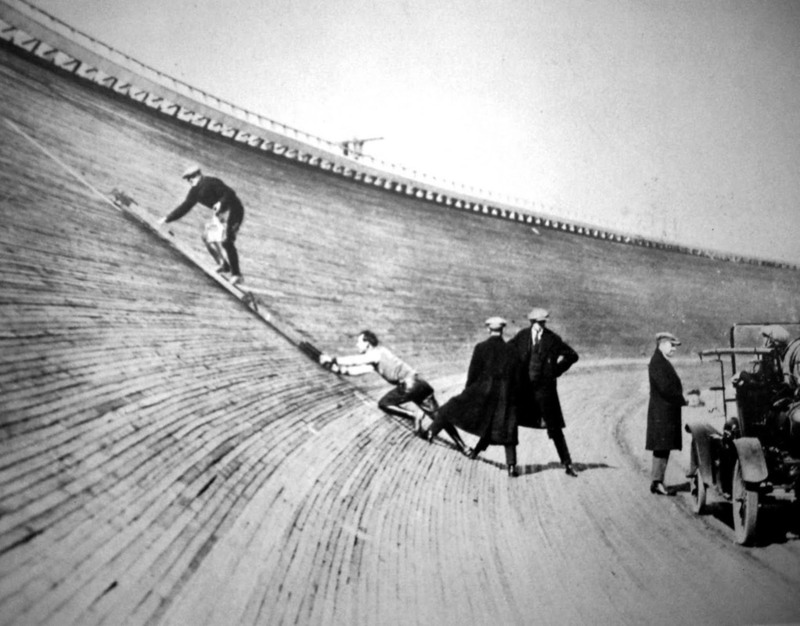 The vision of Jack Prince, Prince built many of these oversised bike velodromes for cars and motorcycle racing during to 1910 - 1920 period. An artists drawing of the concept from 1910. 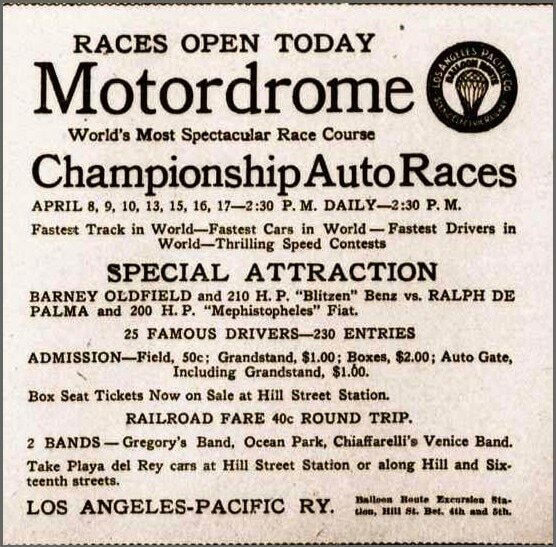 The los Angeles Motordrome was a 1 mile circular wooden board race track located in Playa Del Rey, California. 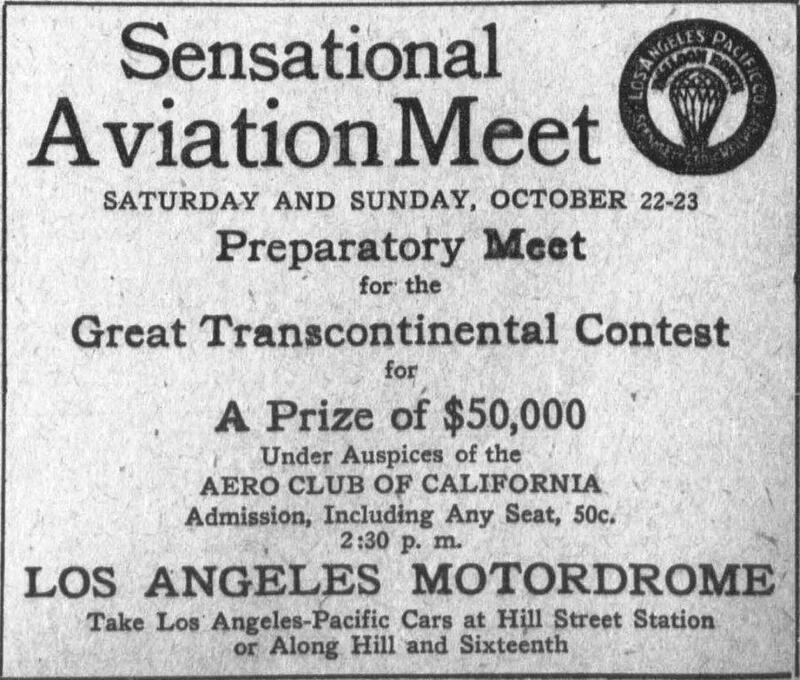 The venue opened in 1910 for car and motorcycle racing events, as well as aviation activities. 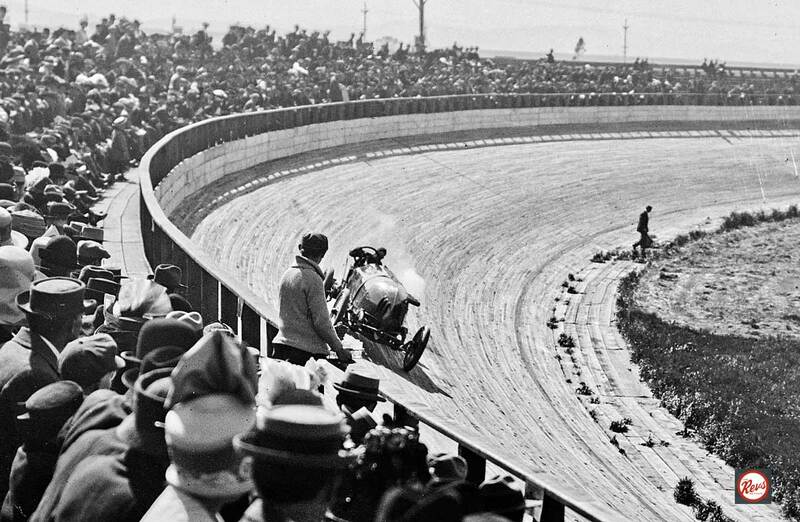 The venue built by Jack Prince was very succesfull during its three years of operation, attracting large competitor numbers as well as paying spectators, until it burnt down in 1913. 1910 started and finished in the same year. 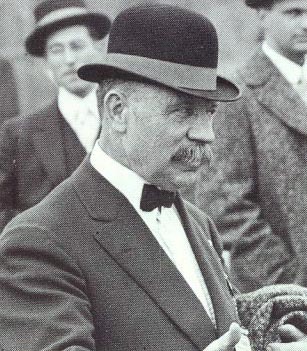 Jack Prince the man with the vision. 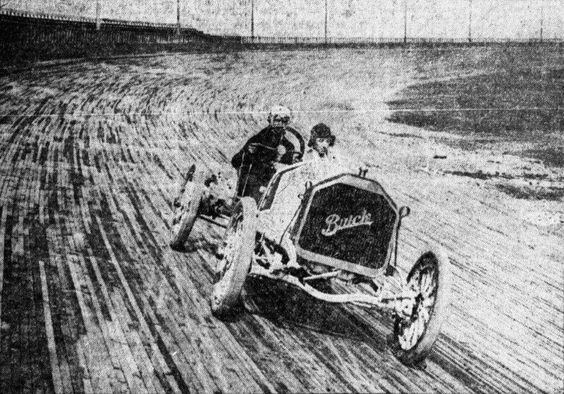 1911 Photo: Phil Wassil from AAA Dirt car Resarcher Project.